Destiny’s Child whose final, and perhaps most recognizable, line-up comprised Beyoncé Knowles, Kelly Rowland and Michelle Williams. Formed in 1990 in Houston, Texas, Destiny’s Child members began their musical endeavors as Girl’s Tyme comprising, among others, Knowles, Rowland, LaTavia Roberson and LeToya Luckett. After years of limited success, they were signed to Columbia Records as Destiny’s Child. Destiny’s Child has sold more than 50 million records worldwide to date Destiny’s Child released their self-titled debut album in the United States on February 17, 1998, Destiny’s Child peaked at number sixty-seven on the Billboard 200 and number fourteen on the Billboard Top R&B/Hip-Hop Albums. It managed to sell over one million copies in the United States. The remix version to the album’s lead single, “No, No, No”, reached number one on the Billboard Hot R&B/Hip-Hop Singles & Tracks and number three on the Billboard Hot 100. In 1998, Destiny’s Child garnered three Soul Train Lady of Soul awards Best New Artist for “No, No, No”. After the success of their debut album, Destiny’s Child re-entered the studio quickly. Coming up with The Writing’s on the Wall, they released it on July 27, 1999 and it eventually became their breakthrough album. The Writing’s on the Wall peaked at number five on the Billboard 200 and number two on R&B chart. “Bills, Bills, Bills” was released in 1999 as the album’s lead single and reached the top spot of the Billboard Hot 100, becoming their first US number-one single. The Writing’s on the Wall has been credited to as Destiny’s Child’s breakthrough album, spurring their career and introducing them to wider audience. The said key to the breakthrough is the album’s third single, “Say My Name”, which topped the Billboard Hot 100 for three consecutive weeks. The successful release of the singles bolstered the album’s sales, eventually selling over eight million copies in the United States, gaining eight-time platinum. The Writing’s on the Wall sold more than fifteen million copies worldwide. Even though they probably would be #1 on a list for the 2000 this group comes in at #5. SWV (an abbreviation for Sisters With Voices) a trio from New York City, formed in 1990 as a gospel group, SWV became one of the most successful R&B groups of the 1990s. 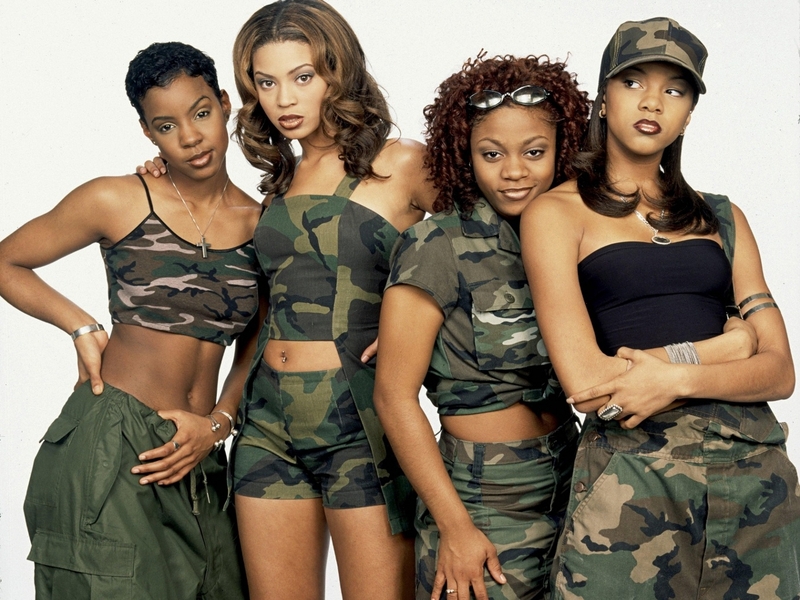 They had a series of hits, including “Weak”, “Right Here/Human Nature”, “I’m So into You”, and “You’re the One”. It’s About Time is the debut studio album by American female R&B trio SWV, released by RCA Records on October 27, 1992 (see 1992 in music). It was certified triple platinum by the RIAA for more than three million copies shipped to store. 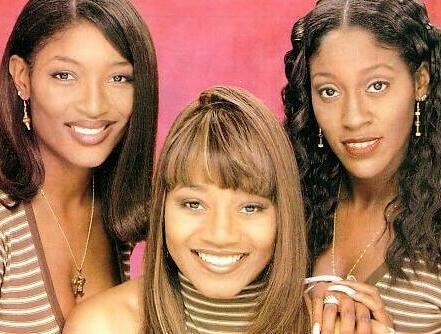 SWV’s first single, “Right Here”, was released in the fall of 1992, reaching #16 on the R&B charts. Their second single, “I’m So into You”, peaked at #2 on R&B and reached #6 on the Billboard Hot 100. The third single, “Weak”, reached #1 on both the R&B and Hot 100 charts. “Right Here/Human Nature,” the fourth single and a remix of their first single, “Right Here”, featured samples of Michael Jackson’s hit “Human Nature”. “Right Here/Human Nature” peaked at #1 on R&B and #2 on the Hot 100 and it stayed at #1 on the Billboard R&B charts for 7 weeks making it one of the longest running singles of 1993. It was followed up with the additional Top 10 R&B hits, “Downtown” (#2), and “Always on My Mind” (#8). The album peak at 8 on the US Billboard 200. Following the success of their first album, SWV appeared on the soundtrack for the 1994 film Above the Rim. The single, “Anything”, became a top ten R&B hit and reached #18 on the Hot 100 in the spring of 1994. That same year, SWV released The Remixes, which went gold by the end of the year. 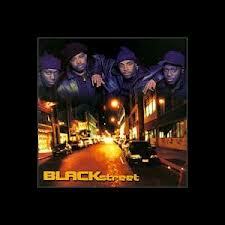 In the summer of 1995, the trio lent vocal harmonies to Blackstreet’s Top 40 R&B hit “Tonight’s the Night”. New Beginning is the second album from R&B group SWV. The first single, “You’re the One”, became one of their signature songs peaking at number five on the Billboard Hot 100 and topped the Hot R&B/Hip-Hop Singles chart. The second single, “Use Your Heart”, peaked at twenty-two on the Hot 100 and number six on the R&B chart. The last single, “It’s All About U”, found Taj taking most of the lead as opposed to Coko. The album was certified platinum. Also, in 1995 SWV appeared on the Waiting to Exhale: Original Soundtrack Album, recording the track, “All Night Long”. Release Some Tension is SWV’s third album. The album features hits like “Rain”, “Someone”, “Can We”, and “Lose My Cool”. The album was certified gold. SWV had a lot of hit singles. They are still the talk conversations of one of the best R&B groups ever. Xscape had a string of hit songs during the 1990s. 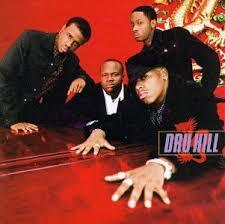 The group released their debut album, Hummin’ Comin’ at ‘Cha, on October 12, 1993. The album peaked at number seventeen the U.S. Billboard 200 and number three on the Top R&B Albums chart. It was a critical and commercial success, certified platinum within a year, and launched two top 10 singles. The debut single, “Just Kickin’ It”, and second single, “Understanding”, both entered the top 10 of the official Hot 100 and became platinum and gold certified number-one hits on the Hot R&B/Hip-Hop Songs chart. After much success, Xscape released their second studio album, Off the Hook, in 1995. The lead single, “Feels So Good”, reached the top 40 of the US Hot 100, while “Who Can I Run To” peaked at #8. The follow-up singles, “Do You Want To” and “Can’t Hang”, the latter featuring rapper MC Lyte, were released as a double A-side single. It went only as high as number 50 on the Hot 100, but peaked at #9 on the “Hot R&B/Hip Hop” charts. The album eventually went platinum. Traces of My Lipstick debuted at #28 on the Billboard 200 and at #6 on the Hot R&B/Hip Hop album chart; over a million copies were sold in the U.S. The album featured the top 10 hit “The Arms of the One Who Loves You”, which reached #7 on the Hot 100 chart, and “My Little Secret”, which reached #9. Although there no official third single was released, “Softest Place on Earth” reached #28 on the Hot R&B/Hip-Hop Songs chart. Xscape had a great run but like most groups they decided to go their separate ways. 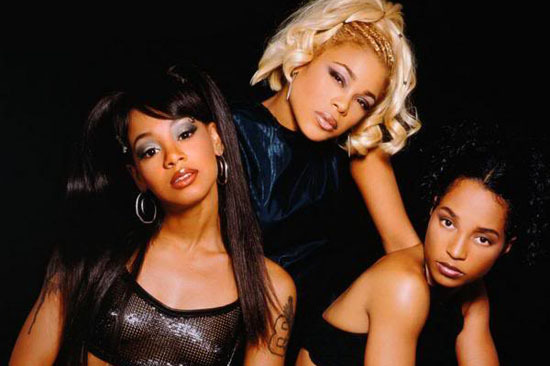 They are probably the best Urban Female group of all time! En Vogue has won more MTV Video Music Awards than any other female group in its history, a total of seven, along with five Soul Train Awards, six American Music Awards, and seven Grammy nominations. According to Billboard Magazine they were the 18th most successful act of the 1990s, and one of the most popular and successful female groups of all time. En Vogue has accumulated over 2,800 weeks on various Billboard charts. Born to Sing was released on April 3, 1990. The album charted at number twenty-one on the Billboard 200 and number three on Billboard’s R&B Albums Chart. The first single, “Hold On,” was released to radio in late February 1990 and became a crossover pop hit, reaching number two on Billboard’s Hot 100 singles charts, and number one on both the R&B singles and Hot Dance Music/Club Play charts. It later went to #5 in the UK, and became a hit in Europe. The next two singles, “Lies” and “You Don’t Have to Worry,” each went to number one on the Billboard R&B charts, while the fourth and final single, “Don’t Go,” charted at number three on the Billboard R&B. The album was later certified platinum En Vogue’s second album, Funky Divas, was released in the spring of 1992. The album debuted at number eight on the Billboard 200 and number one on the Billboard R&B and ultimately doubled the take of its predecessor, going multi-platinum. The album’s first two singles: “My Lovin’ (You’re Never Gonna Get It)” and “Giving Him Something He Can Feel” both went top ten pop, and peaked at number one on the R&B charts. The next single, “Free Your Mind” also went top ten. The final two singles “Give It Up Turn It Loose” and “Love Don’t Love You” both were top forty hits.The album went on to sell more than three million copies. EV3, the group’s third album, was released in the spring and debuted at number eight on both the Billboard 200 and the Billboard R&B charts. The first single, “Whatever” went on to become a top-20 pop hit, a top ten R&B hit, while also peaking at number five on the Hot Dance Music/Club Play chart. On August 26, 1997, the single was certified gold. The follow-up single “Too Gone, Too Long” (which performed more modestly, managing to only peak in the top forty.) Despite its being certified platinum, and the album being nominated for Grammy Award and a Soul Train Lady of Soul Award, sales of EV3 failed to live up to full commercial expectation. En Vogue had a lot of success. They had many endorsements to their name when they were in the prime. They well deserving of the #2 Spot! Billboard magazine ranked TLC as one of the greatest musical trios. Between 1992 and 2003, the band accumulated ten top ten singles, four number one singles, four multi-platinum albums, and four Grammy Awards. At the end of 1999, TLC was ranked as the seventh most successful act of the 1990s by Billboard. In 2008, the group was inducted into the All Time Hot 100 Artist Hall of Fame by the same magazine, at 56th place. That year it was also listed as the #25 R&B/hip-hop artist of the preceding 25 years. TLC has sold more than 65 million records worldwide and they are ranked as the second best selling female group of all time, and the best selling female R&B group of all time. In 2012, TLC ranked 12th on VH1’s 100 Greatest Women in Music, being ranked the number one all girl group on that list. TLC had man hit and all their albums went platinum. It is no doubt they are number one on everyone’s list! There were a lot of male groups throughout the 90’s. It was arguably the best time for Male groups since the 60’s. I took a poll from a group of 8 people and this is what we came up with. I want you to think about all the groups back in that time and you tell me if you agree or disagree with my colleagues and me. The criteria are that the groups had to drop their first album in the 90’s. 5. Dru Hill make it’s breakthrough in 1996 with their first single “Tell Me”, which was featured on the soundtrack to the Whoopi Goldberg film Eddie, and was a Top 5 R&B hit. All four members took turns singing lead, with Sisqó making the biggest impression on audiences with his dancing style, and bleached-blond hair. The Sisqó-led and the album’s second single, “In My Bed”, was the group’s first Top 5 pop hit and first #1 R&B hit. Jazz took the lead on the third single, “Never Make a Promise”, which became a second #1 R&B hit. The album’s fourth and final single, “5 Steps”, which the group wrote themselves, did great on the charts as well. Enter the Dru hit the ground running with its lead single “How Deep is Your Love” and “These are the Times” the album went double platinum. After that album the group seems to split up and get back together with Sisqo earning solo success it made it hard for the group to have the same chemistry. 4. Jagged Edge Jagged Edge began their mainstream recording career with the single “The Way That You Talk”. They followed this in 1998 with the album, A Jagged Era which managed to go gold featuring the singles “I Gotta Be” and “The Way That You Talk”. “I Gotta Be” which was written by the twins, reached #11 on the R&B charts and #23 on the Hot 100. Best known for the Albums J.E. 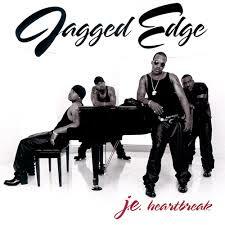 Heartbreak and Jagged Little Thrill which both went Platinum Jagged Edge is known for their baby making classics. 3. Blackstreet released their first single in 1993, titled “Baby Be Mine”, featuring Joseph Stonestreet on lead, produced by Teddy Riley, and written by Teddy Riley and Joseph Stonestreet. However, Stonestreet left the group shortly after the single was released (due to personal issues) and was replaced by Dave Hollister. Their debut album, Blackstreet, was a platinum-selling success, featuring the singles “Booti Call”, “Before I Let You Go”, and “Joy”, two of which were Top 40 hits. The follow-up, 1996’s Another Level was a breakthrough success due to the top single “No Diggity” (with Dr. Dre), which was a No. 1 hit on the Billboard Hot 100 in November 1996, and won the 1998 Grammy Award for Best R&B Performance by a Duo or Group with Vocals, along with the Top 40 hit “Don’t Leave Me” which was a big hit in 1996. Another Level eventually went four times platinum in the United States and peaked at No. 3 on the Billboard chart. “No Diggity” is ranked at No. 91 on Rolling Stone and MTV: 100 Greatest Pop Songs. 2. Jodeci know for their rough hip hop image and sexual lyrics consists of two pairs of brothers from Hampton, Virginia and Charlotte, North Carolina: Cedric & Joel Hailey and Donald & Dalvin DeGrate, all respectively known by their stage names: K-Ci & JoJo, DeVante Swing and Mr. Dalvin. 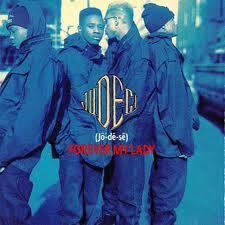 The group’s name is a combination of the names from all four members: Jo-Jo, DeGrate, and K-Ci.released their debut album Forever My Lady in 1991 and topped the Top R&B/Hip-Hop Albums chart. The album produced five singles, three of which topped the US R&B/Hip-Hop Songs: “Forever My Lady”, “Stay”, and “Come and Talk to Me”, The Album went triple-platinum. In 1993, the group released its second studio album, Diary of a Mad Band, which peaked at number six on the Billboard 200 and number one on the Top R&B/Hip-Hop Albums. The album received a double-platinum certification by the RIAA, and spawned three singles: “Cry for You”, “Feenin'”, and “What About Us”. The Show, the After Party, the Hotel (1995) was the group’s third, as well as most successful, album. It peaked at number two on the Billboard 200, and number one on the Top R&B/Hip-Hop Albums, and was certified platinum by the RIAA. It was Jodeci’s only album to chart outside of the United States, peaking at number four on the UK Albums Chart and appearing on the Australian ARIA Albums Chart and the Dutch Mega Album Top 100. The Show, the After Party, the Hotel produced three singles, including “Freek’n You”, which charted within the top 15 on both the Billboard Hot 100 and R&B/Hip-Hop Songs, and was certified gold by the RIAA.The single also charted on the Australian and Dutch Singles Chart. 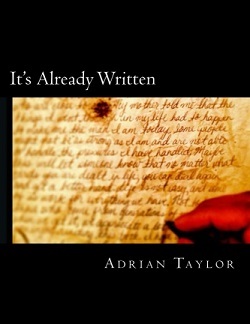 Even through the group has not dropped since 1995 there music is still highly request. People would love to see this group back together but it probably will never happen at this point. I guess we could always dream. 1. 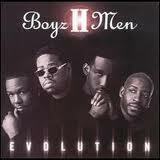 Boyz II Men first album, Cooleyhighharmony, was released on Motown in 1991 and was produced by Michael Bivins. Boyz II Men’s first single, the Dallas Austin-produced “Motownphilly” featured a rap cameo by Michael Bivins that gives the story of how he met Boyz II Men. The second single was an a capella cover of a classic Motown tune, G.C. Cameron’s “It’s So Hard to Say Goodbye to Yesterday” from the 1975 film Cooley High, while “Uhh Ahh” served as the third single. Cooleyhighharmony achieved major success, eventually selling over nine million copies and winning the Grammy Award for Best R&B Performance by a Duo or Group with Vocals at the 1992 Grammy Awards. After releasing a Christmas compilation, Christmas Interpretations in 1993, Boyz II Men returned to the studio for their highly anticipated sophomore effort. In 1994, II was released. II sold more than 12 million copies in the United States alone, becoming one of the best-selling albums ever released by an R&B group act, and one of the biggest albums of the decade. Boyz II Men finished with 9 Top-Ten singles and 4 Grammy Awards. Boyz II Men is one of the most successful Male R&B groups of all time.